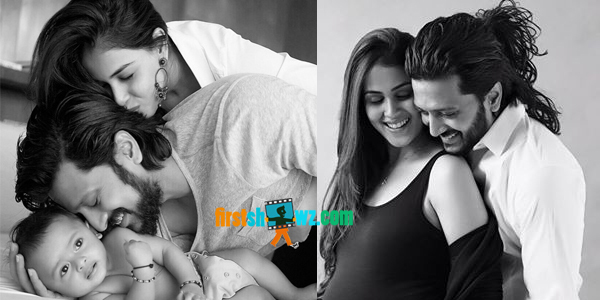 Actress Genelia Deshmukh has been blessed with Baby Boy once again. The news has been officially confirmed by her husband Riteish Deshmukh in his Twitter handle. "Hey guys, my Aai & Baba just gifted me a little brother. Now all my toys are his...- Love Riaan" informed Riteish Deshmukh. The baby boy and the mother are absolutely safe informs the actor. The couple were blessed with baby boy in the early hours today. It is known that the duo has tied knot in 2012. We at firstshowz.com once again congratulates the couple for having their second son into their family.